It used to be known as the “free kick/point”, but now with the recent rule change, the extra point kick is harder than before. Football kickers are now feeling the pressure, as the ball has moved from the 15-yard line all the way to the 32-yard line, from where they will attempt to give their team an extra point after each touchdown. 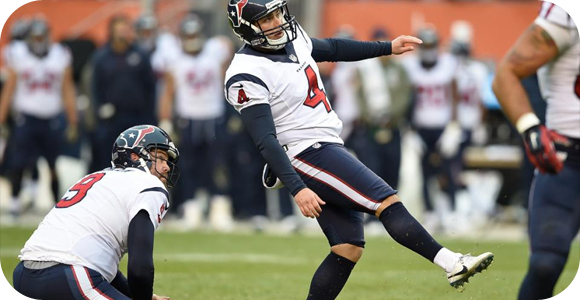 The NFL decided that it was too easy for kickers to get the extra point, and it had become a boring act in what was supposed to be an exciting and competitive sport. This is why they changed the rule, pushing the snap of the ball for the extra point back, and likewise, where the kick is done. It has certainly paid off during the short time it has been enforced during the 2015 season, as kickers are 71 for 75 on extra points through Week 1. This gives them a conversion rate of 94.7%, which is still relatively high, but it is no longer a sure thing to get the additional point. A little insight, ever since 1994 kickers have made at least 98% of the extra points, proving that it is already becoming harder. Sure, some fans will say that the kickers have to get used to the new rule and placement, and their accuracy will increase. This was all done to get teams to try the two-point conversion, as that will still be snapped at the 0-yard line, giving them a much better chance to score, and give the fans a much better show. In the past, two-point conversions were effective 50% of the time, and now that the possibility of the extra point being below 95% effective, teams may attempt going after the two extra points more often.